Combine all ingredients in a medium bowl. Mix well. Press into pie pan. Bake for about 15 minutes. Remove from oven and cool. Sprinkle gelatin over 2 tsp vanilla. Let stand for 10 minutes. Whisk the egg yolks and honey in a glass bowl until smooth. Heat yogurt in a medium saucepan over medium-high heat. Allow yogurt to come to a simmer. You will see the yogurt separate a little. This is okay. Pour yogurt into egg yolks whisking constantly. Return to mixture to the saucepan. Stir over medium-low heat for 5 minutes. Don’t allow the mixture to come to a boil. Remove from heat. Add the gelatin mixture. Stir until gelatin dissolves. Pour mixture into glass bowl and refrigerate for 30 minutes. Stir it a couple times while it is cooling. In a small saucepan combine all the peanut butter layer ingredients. Bring to boil. Stir for a minute or two. 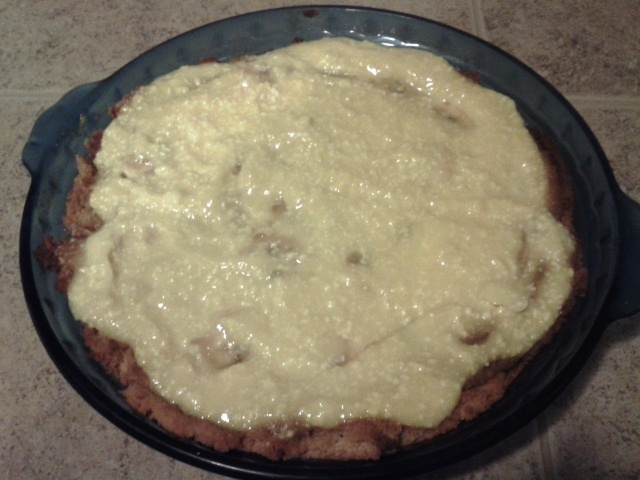 Pour peanut butter mixture into cooled pie crust. Allow peanut butter mixture to cool. Slice bananas onto cooled peanut butter layer. Pour custard over bananas and peanut butter. 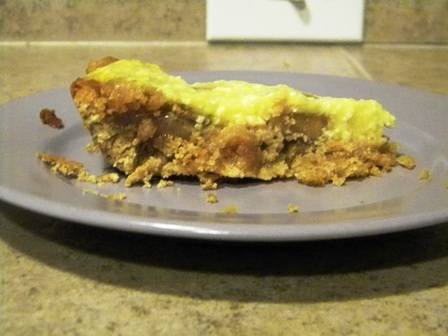 Place pie in refrigerator for 3 – 4 hours until custard is set – cover pie to store it.